Author: Roiphe, Anne Set In . . . 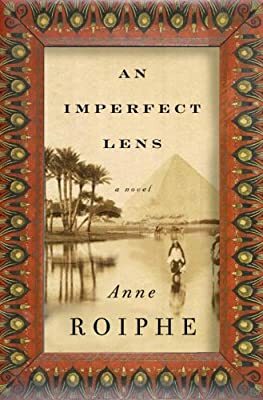 Description: Acclaimed author Anne Roiphe evokes the sights and sounds of 1880s Alexandria, Egypt, a bustling center of trade and travel. From teeming docks to overflowing market stalls, from grand homes to grimy narrow alleyways, cholera microbes rise and bob in streams of water and tiny droplets, clinging to moisture as man clings to air. With a keen mind and dedication to his work, young Louis Thuillier has impressed his mentor—famed scientist Louis Pasteur—enough to be sent to Alexandria as one-third of the French mission searching for the source of the cholera that is terrorizing the city. Along with the other members of the French mission—scientists Emile Roux and Edmond Nocard and their enterprising servant Marcus—Louis longs to find the cure, bringing glory to himself and to France. Este Malina is the lovely daughter of a respected Jewish doctor, whose family has lived in Alexandria for hundreds of years. A life of comfort has made Este a romantic, and she hopes to marry a man with the heart of a poet. Neither expects to find a soul mate in the other, but when Este begins to assist at the French mission’s lab, a deep bond forms. Este, though, is engaged to another, and Louis is not Jewish—her family would never allow them to marry. In spite of their many differences, the lovers’ desire grows and their fantasies threaten to distract them from their work. In Alexandria, the disease rages on, as mysterious as it was a thousand years before. Political intrigue threatens to separate Este and Louis permanently. Their love, as fragile as the glass slides they use in the lab, is in danger before it has had a chance to thrive. With An Imperfect Lens, rich with the sights and scents of a different era, Anne Roiphe once again demonstrates the storytelling power for which she has long been hailed.